Soft-as-a-dream fabric and the ultimate cut for comfort: this modest dress is amazing -- think layering with a flare! 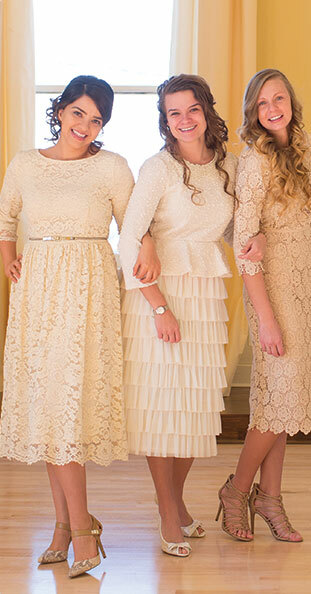 The skirt ruffle is absolutely adorable. Accessorize for tons of cute looks: a jean or lace vest or jacket, a cardigan, a scarf, a belt, a purse, the perfect shoes . . . You can pull off just about any look with this vintage dress and the right kind of layering -- or just wear it plain for a chic-polished look. Runs true to size.